My Recommendations on what to do, where to eat,where to stay, and where to go for your financial needs. Ive been living in this town for more than a year now and I am proud to say that Anthem is such a beautiful place to live. It is a very clean town, quiet and peaceful neighborhood located in Maricopa County Arizona. A northernmost town of Phoenix and just about 45 minutes to travel by car from Sky Harbor Airport Phoenix. Come and Visit Anthem! If you are in Anthem, this place is a must visit. A great park to hangout with family. Kids will really enjoy at the playground. They have a fishing pond, various sports facilities, playground and a place for picnic. Today (March26,2018) after church, we visited Anthem Community Park enjoying the good weather with my family. It’s Anthem Days and they have a lot of activities. They have carnival, business expo, food vendors, craft vendors, egg hunt and live music. We walked and looked around to see what’s on their business expo. We rode on a train feeling like we’re still kids. The train goes all around the park and you will see the beautiful view of the park. The kids had so much fun on Easter egg hunt. There’s a small lake with water falls, ducks and many birds. I even saw a man enjoyed catching fishes. During weekends many families came here for a picnic and have fun. Some bring their dog and go for a walk. Veterans Memorial within the park is also worth visiting. A monument honoring the veterans from every military branch. You don’t need to go to downtown Phoenix to find your signature clothes and shoes. Here in Outlets at Anthem you will find great places to shop. A lot of selection to choose from and you will find great deals. The mall features lots of branded stores including Coach, Calvin Klein, Levi’s, Gap, Nike, Tommy Hilfiger, Under Armour and more. Every December, the Outlets at Anthem also feature the tallest Christmas tree in Arizona. It is a well maintained outdoor mall. If you have kids, they will enjoy at their playground with small splash pads. It’s a beautiful location and has wonderful views. A Mexican family owned restaurant in Anthem Arizona. Located at 39510 North Daisy Mountain Road Suite 170 just next to Fry’s Shopping Center. “Tortas Chano” formerly Robertos was featured in Diners, Drive-ins and Dive Food Network by Guy Fieri. Come by and get something to go or dine in. Get a yummy burrito, taco salad, my favorite chile relleno, al pastor, carnitas, and more. They ship their homemade salsa too around the globe. Not only have delicious food, also have a variety of beverages to choose from. They serve horchata, jamaica, tamarindo and best homemade margarita! Come on in and try some. Tortas Chano Family is happy to serve you. They also cater all sorts of events. For more information dial 623-465-1515. Let Tortas Chano family cater your next event! Thursday’s are for Tamales and Menudo for Saturdays. I’m sure you’ll love it. We offer a very friendly hotel in the heart of Anthem. Hampton Inn is located at 42415 North 41st Drive Anthem Arizona. It is just a 5 minute walk from the Outlets at Anthem and a mile from Anthem Community Park. For your financial needs, I highly recommend Deer Valley Credit Union located at 3428 W Anthem Way Anthem Arizona. Since I migrated here in the US from Philippines, Deer Valley Credit Union has taken care of my financial needs. They offer a variety of services for your banking needs . Come and visit Deer Valley Credit Union and meet the friendly staff. Do you have any things or places to suggest that might add to the list? Just comment below. I would love to hear. Very nice representation of city ..thanks for sharing pics and videos. It was a nice day with your family, Anthem days event was really fun and have a lot of activities to do and enjoy together with your family or friends in Anthem, Arizona. You took also nice photos and videos. Thanks for sharing this experience of yours to us. This looks like a really lovely city indeed. The community park looks really ideal for a family day out with lots to see and do. It definitely looks like a picturesque place. Thanks Elizabeth. I like this place and the warm weather. Oh, this is a splendid beauty. I love this kind of city with lots of nature around. Anthem park is definitely a must visit place there. It looks just too good! Thank you Pooja. This is the town where I live. It’s just a small town but I love it. I’d be exploring more of Arizona. Hope to see you here. Wow, I’d never heard about this place before, but I must agree that it’s absolutely gorgeous! I’d love to head there sometime soon! Thanks Christopher. Anthem is a northernmost town of Phoenix Arizona USA. Checkout more of our Arizona roadtrips to have an idea on what to see here in Arizona. Thanks Tushar. I’ll be exploring more of this place. I’ve been to only Phonix in Arizona. I had no idea that Anthem is such a beautiful city. Would love to visit there someday! Hi Ana, Anthem is the northernmost town of Phoenix. It’s just a small, but clean and peaceful town. And just an hour and half to Sedona. I live here for more than a year now and still exploring more of Arizona. Checkout more of our family roadtrips here in Arizona. Thanks much! First of all thanks for visiting my site. I think my first time to read about Arizona and see how beautiful it is. More photos please… 🙂 Cheers! Arizona looks like a nice place to visit and I think exploring it is a great adventure and experience for me and that Anthem event really looks so fun. Tons of things to do and see here in Arizona. 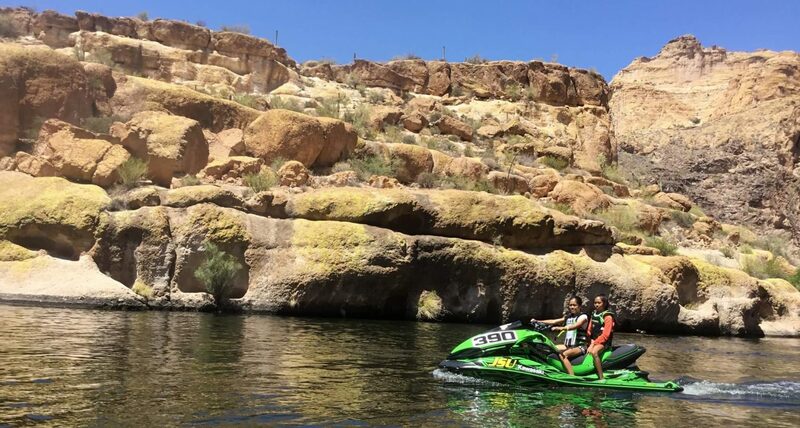 Checkout more of my post of our family adventure here in Arizona like Grand Canyon, Sedona, Lake Havasu, Pleasant, and Tucson area and more. Anthem is just an hour and half to Sedona. I’ll be exploring more of Arizona with my family. Thank you so much for reading. The last few times I’ve been to Arizona, all I could think of was that it was too hot for me. They did have a good selection of Mexican food for sure! Oh! I would love those homemade tamales! Thanks much Lexie! Yes, Tortas Chano has the best homemade tamales in town. During summer, Arizona is trully hot. But the rest of the year I love the weather. Anthem sounds like a really quaint small suburban city! I have only stopped in Arizona for a short layover, but I hope to at least go back and visit the state in the future. Arizona is waiting you Rachel. And I love Anthem where I live. I can go north and see Sedona for just an hour and half or go south and explore the Tucson area. I’ll be exploring more of Arizona with my family. Thanks for your comment. I have yet to visit Anthem, Arizona but it sounds like a lovely city. I’ve only been to Sedona and didn’t realize Anthem was so close. Arizona is beautiful and also its public parks. Thanks for inviting us forba virtual tour! I wish to visit someday. you have written this blog really well, but I don’t think I’ll ever go to Anthem. Wow, this is a nice place! It’s serene, with some modernization, but still laid back. Perfect for a growing family like ours to live in! Thanks Sigrid. I would definitely live here forever. I love this place. Thanks Sigrid. I would definitely live here for a long time. I love this place. I have a cousin in Arizona and she always raves about how amazing it is, I’ve been wanting to head out and visit. Looks like a beautiful place!